Based on information provided by the American Frozen Food Institute, on average, 40% of all food in the United States goes uneaten and wasted, which is an annual loss of $165 million. Fresh fruit and vegetable waste makes up nearly one-third of this number. With these discouraging numbers and financial losses, how can the frozen food industry help to solve this problem? Frozen food and beverage companies work hard to create the safest and best freezing techniques to keep food safe by preventing microorganisms from growing and by slowing down the enzyme activity that causes food to spoil. Modern freezing techniques have been designed to preserve food at its peak freshness and nutrient content. Frozen food makers continue to work with the U.S. Department of Agriculture (USDA) and the U.S. Food and Drug Administration (FDA) to keep America’s food supply the safest in the world. Freezing means less wasted food and easier access to well-balanced, portion-controlled nutritious foods during every season and in every community. Many times, frozen foods cost less per serving, but most importantly, they have a longer shelf life than fresh or refrigerated foods. How do frozen foods play such an integral part in the well-balanced, nutritious diets of Americans? 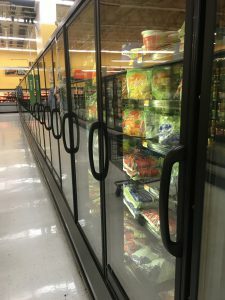 The frozen food aisle offers a large variety of vegetables, fruits, and other prepared foods at reasonable prices year ’round. Freezing reduces the need for additives and preservatives. Frozen foods also provide nutritious options that fit into all of the food groups suggested by Choose MyPlate.gov (fruits, vegetables, whole grains, protein, and dairy). They also are a sensible choice when trying to control calories and fat, sugar, saturated fat, and sodium intake. In addition, unused products can be placed back in the freezer for later use. If you have concerns about frozen foods, it’s time to rethink them. Let’s BUST those crazy frozen food myths swirling around out there!!! FACT: Recent studies found there is no difference in nutrition between frozen and fresh produce. FACT: Frozen foods are ready to cook, not ready to eat. As their name suggests, ready-to-cook foods must be cooked or baked according to package instructions. FACT: The freezer aisles of your supermarket are filled with meals made with the highest quality ingredients and prepared the way you would prepare them (if you had the time). FACT: Actually, frozen foods minimize the amount of spoiled food we throw away because they are already portioned out, so we can take what we need and save the rest. FACT: Restaurant-inspired entrees like seafood scampi, sesame chicken, and Monterey chicken cost under $4 each. You do the math. 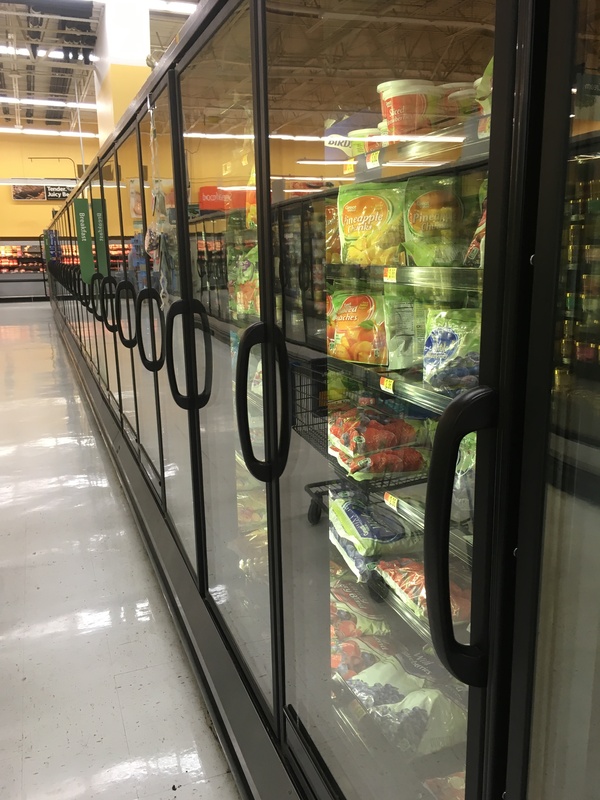 FACT: “Better-for-you” options are available in the frozen food aisle to make it easier for consumers to control intake of calories, fat, saturated fat, and sodium. For more information on the frozen food and beverage industry, please visit www.affi.org. For more information on incorporating frozen foods into your healthy lifestyle, please visit: http://edis.ifas.ufl.edu/fs186. Extension Agent III, 4-H Youth Development and Family & Consumer Sciences, UF/IFAS Gulf County Extension, Focus areas include youth and volunteer development, 4-H life skills, healthy living, nutrition and food safety. Bachelor's degree in Education from Radford University. Master of Science in Education degree in Career and Technical Education from Virginia Tech.